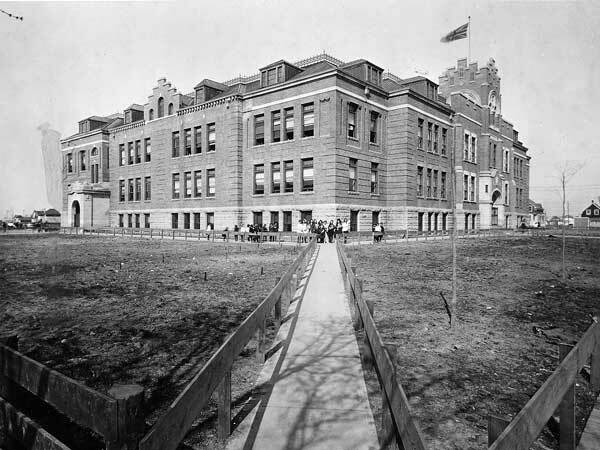 In 1905, the Winnipeg School Board purchased land bounded by Barratt Avenue and Clifton and Spruce streets. Three years later, it constructed a wood frame building housing four classrooms, based on a design by school architect J. B. Mitchell, at a total cost of $8,900. It was given the temporary name of Clifton School until a replacement building was erected during 1913, with its cornerstone laid in a ceremony on 25 July 1913. 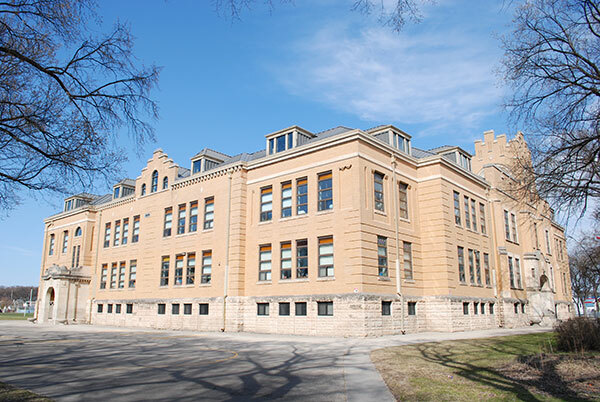 Also designed by Mitchell, this three-and-a-half storey brick and stone structure, considered the largest school in Winnipeg, had 32 classrooms and a manual training room. It was capable of accommodating 1,344 students. 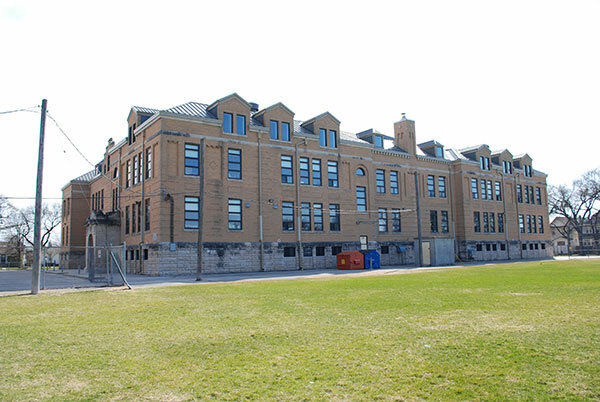 When Isaac Brock School opened in March 1914, the older frame building was sold and moved to a site on Dominion Street, adjacent to Sargent Park, where it was set on a stone foundation and completely renovated at a cost of $5,000. It was anticipated the building would be used for many years. However, it sat vacant for over three years and was badly burned in a fire on 15 May 1918. “Laid cornerstone of new school,” Manitoba Free Press, 26 July 1913, page 44. “Winnipeg schools, No. 30—Isaac Brock,” Manitoba Free Press, 20 November 1922, page 9. 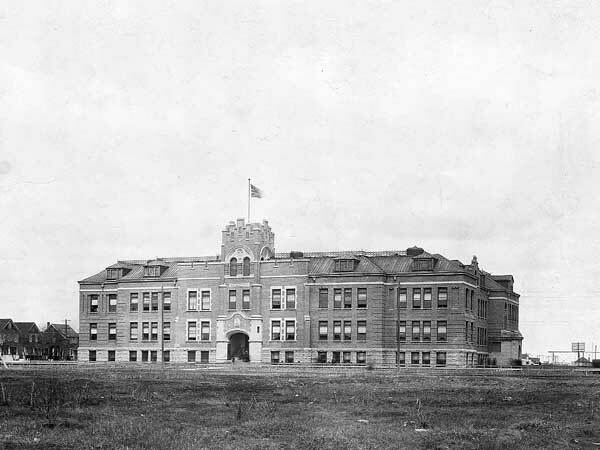 “Many men prominent not only in city but throughout Canada passed through the portals of the old collegiate institute,” Manitoba Free Press, 9 December 1922, page 31. Obituary [Meta Marion Kelly], Winnipeg Free Press, 14 July 1994, page 23. We thank Gordon McBean for providing additional information used here. This page was prepared by Gordon Goldsborough, Reid Dickie, and Nathan Kramer.